One of my favorite summer beverages is Teavana’s Moroccan Mint green tea–sweetened and iced. So refreshing! When I was looking at my last batch of mangoes wondering what kind of frozen treat to make with them, I thought they would pair nicely with the flavor of this tea. I adapted David Lebovitz’s Mango Sorbet recipe from The Perfect Scoop to this one using the Moroccan Mint green tea. 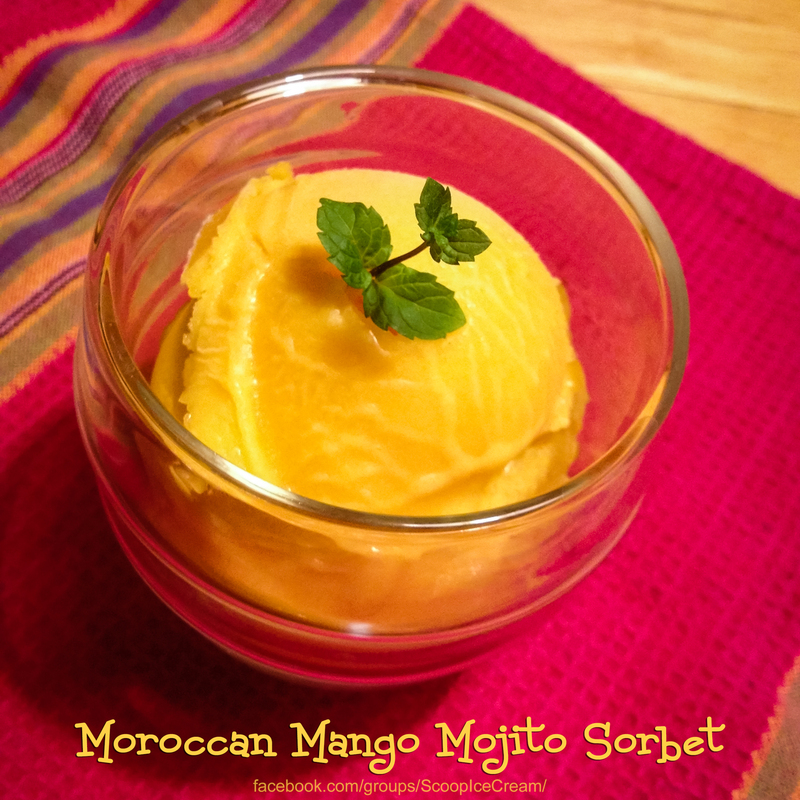 Enjoy a bowl of this delicious Moroccan mango mojito sorbet this summer! Brew the tea according to directions and measure out 2/3 cup. Add the sugar while the tea is hot and stir to dissolve all the sugar. Add everything to the blender and purée until well blended. Adjust lime, mint, and rum to taste. Chill mixture in fridge 2-3 hours until very cold. Add to ice cream machine and churn according to manufacturer instructions. Took about 20 minutes in mine. Transfer sorbet to a freezer container and freeze several more hours before scooping.